There has been a huge variety of Ferraris over the years, with so many stunning cars made, but out of all of them, I think the F40 is the most special. 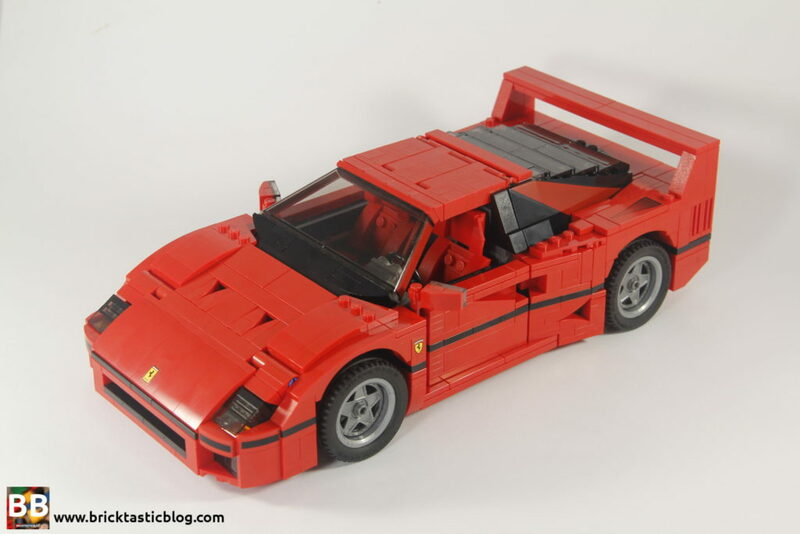 The Ferrari F40 was created as a celebration of Ferrari’s 40 years of making art with cars, and I think it’s one of the most beautiful cars around. They’re very rare, with only 1311 being made, so if you see one (and I have), consider yourself lucky. As far as the LEGO counterpart goes, there have been a lot more made, but it’s still a beautiful set. Open the box and you’ll discover eight numbered parts bags, a solid instruction manual, and a sticker sheet with 14 stickers. It seems like a lot, but they’re very understated and blend in well. Obviously, this set has a lot of red elements, but there are some special ones. The most important one? The 1x12x4 windshield. It’s trapezoidal in shape, and has printed red pillars. It’s a cracker of a windshield and will come in handy with other vehicle designs, I’m sure. The wheel rims and hub caps are also new, and unique to the set, although the rims have since appeared in a Star Wars set from this year – 75178: Jakku Quadjumper. There’s also the 3×10 angled bricks, which are printed. These are unique to this set, too. There isn’t a huge variety of colours, but what you get is decent, and there’s no escaping the colour limitations. Ferraris always have to be red. There’s no steering, but the wheels spin, so it can be “driven”, but all the action is inside. The front of the car opens up to reveal a toolbox and oil can, as well as some storage space. No engine here – it’s in the back! 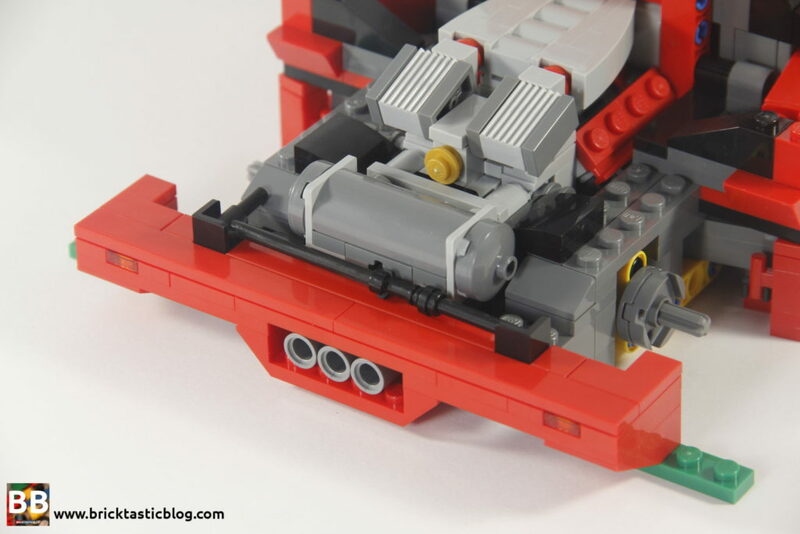 Open the back and you’ll see the LEGO version of a 2.9L twin turbocharged V8. There’s even a nice little stick to hold the back open. The engine also removable. Open the back, take off the rear fender and the engine and exhaust pipes come right out. It’s a great little detail. 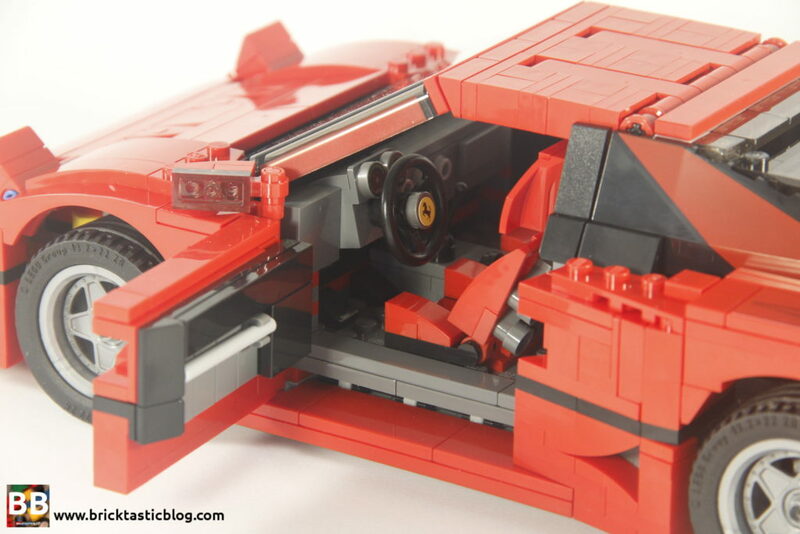 Lastly, the doors open to show off the interior of the car. There are some excellent looking racing bucket seats, a nicely detailed dash, and full door trims too. And we can’t forget the flip up headlights! Sure, you’re probably not going to be driving this one around the carpet, but it’s loads of fun to have all the doors open. 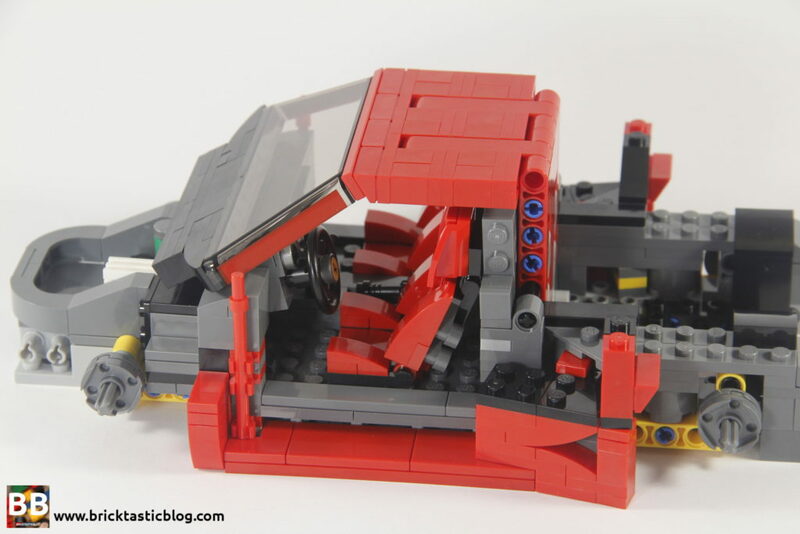 The build is split into two sections – the chassis and interior, and the body. 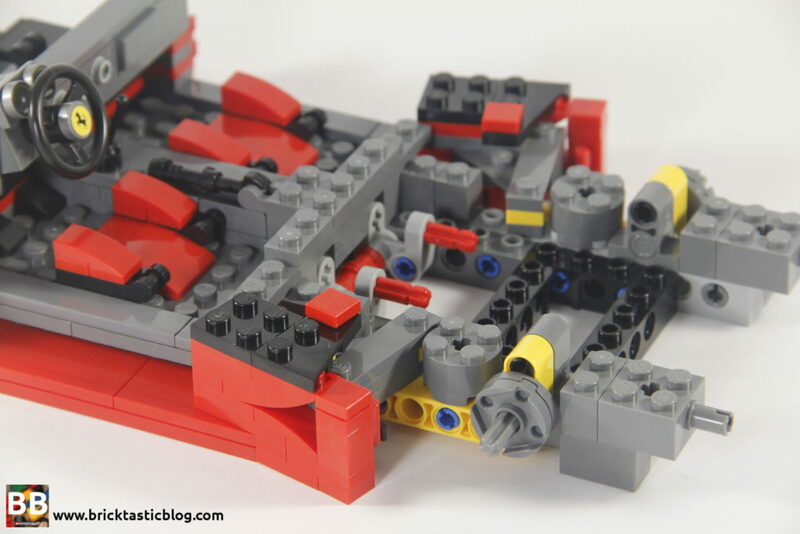 It all starts with the centre of the car’s chassis. 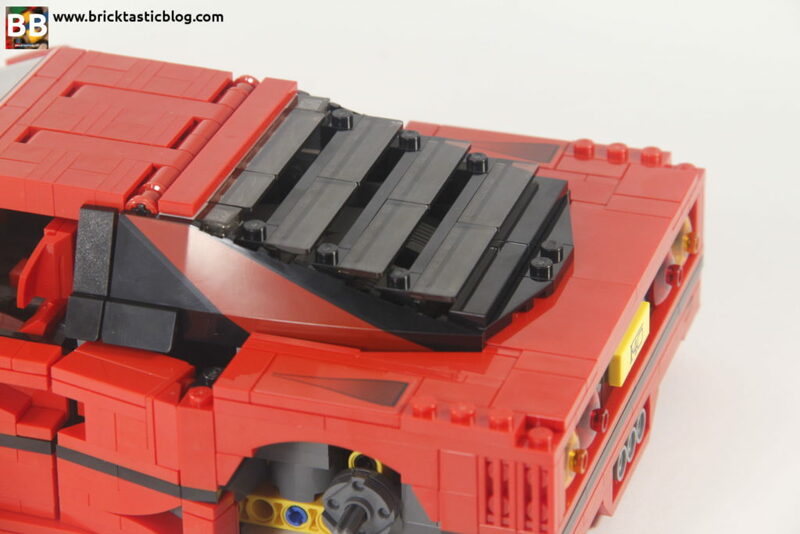 As you work your way outwards and upwards, the storage compartment takes shape, as well as the engine bay, side skirts, some fantastic angled building using some very clever techniques, as well as the seats and dash, and roof structure of the car. What I’m the most impressed about is the neatness of the windscreen folding down to perfectly meet the red 1×2 cheese slopes on the roof. It’s millimetre perfect. The doors are also added that pair so nicely with the angled section at the rear of the cab. The second bag starts with the engine. It’s a great looking engine, and I love the use of the pistols. It’s the same technique that was seen in the Caterham Seven 620R, and it’s very effective. The engine is slotted in, and then the rear bumper gets added. If you’re wondering what the green 1×4 plates are for, then let me fill you in. 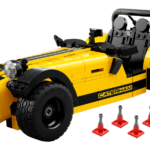 The rear fender is one plate higher than the rest of the car, so if you push down on it without the green plates being there (as you continue building), then it will break. They’re there just for support during building. 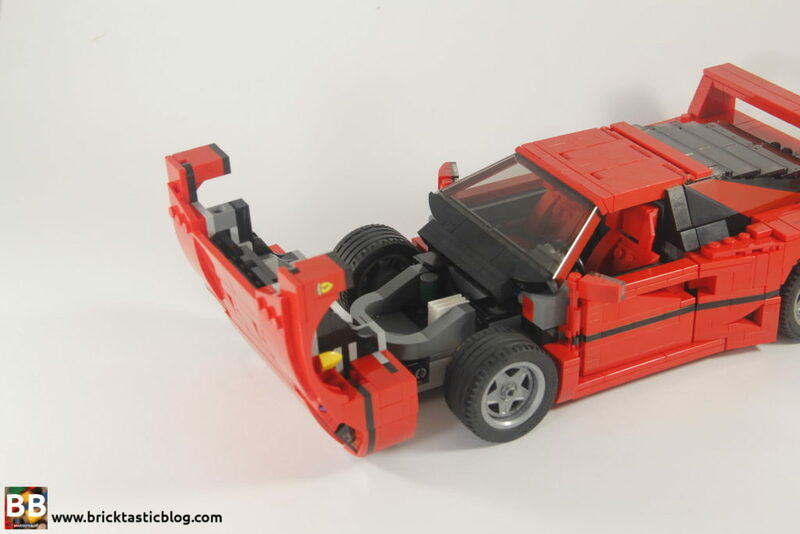 The rear iconic windscreen is added, using some simple, but very effective techniques, and is added to the rear of the classic Ferrari F40 tail. Add the spoiler, add it to the car and attach the rear “uprights”, and the back is complete. The front bumper and bonnet are added, using some very cleverly hidden clips and rods to the underside for the air holes. I did find that the construction of the front bumper was a little flimsy during building, but it did get stronger as you progressed. Lastly, attach the wheels, and it’s done. 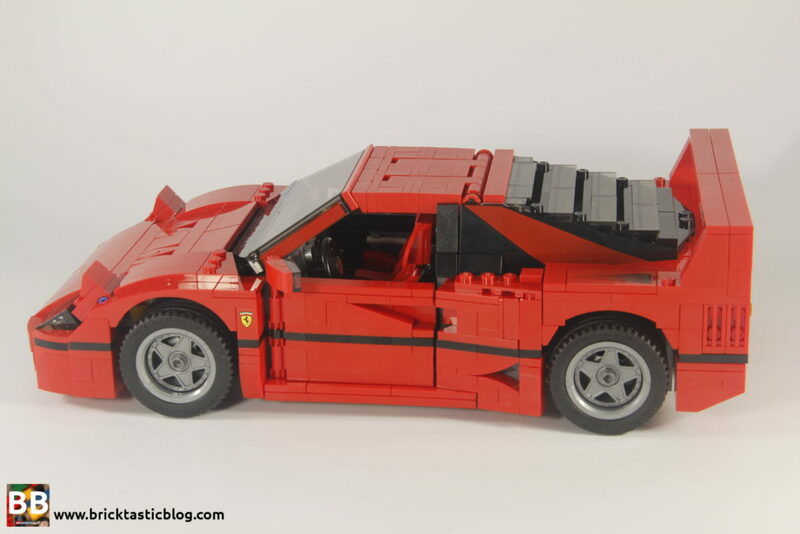 The build was extremely enjoyable, and was made all the more special as it’s a car that I absolutely loved as a kid, and still do today. There are excellent techniques included, and I certainly learned a little more about what LEGO can do. The only disappointment is the rear uprights. To me, they could have been created with more parts to make it flow more. The designers managed it with what I think were more difficult sections, but just not with that. it was a little bit of a let down. I really like the look of this car. The proportions mean that the LEGO version isn’t as sleek as the real thing, but it still looks brilliant. 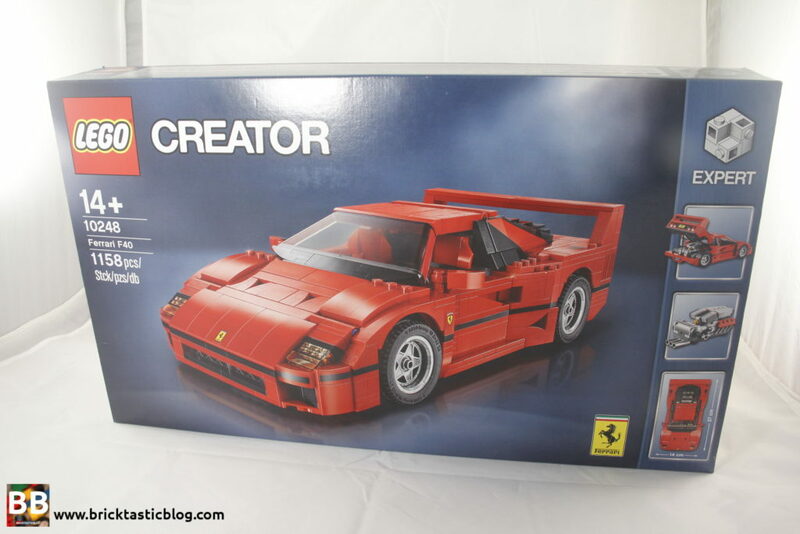 It’s got great details, is easily recognisable as a Ferrari F40, and the stickers that are included are very understated. The functions are brilliant, and work really well, allowing the owner to really show it off. 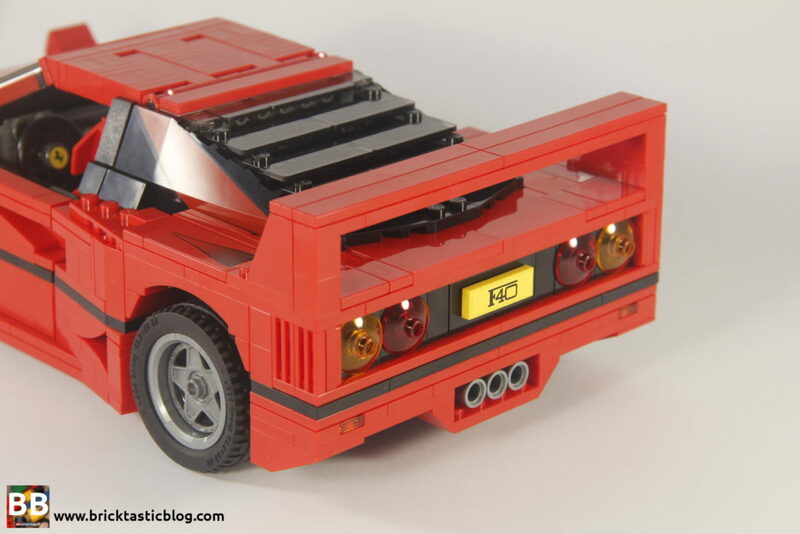 Even in LEGO form, it has the look and feel of a performance car. The rear uprights are a little bit of a disappointment, but the rest makes up for it. 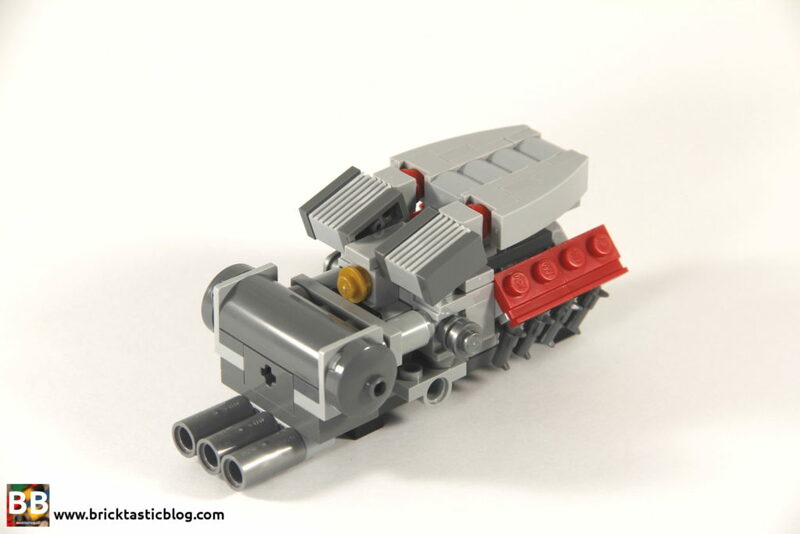 This vehicle is still available for sale through LEGO Shop at Home, and for a very reasonable price of $130. That’s a price per element cost of 11c. It’s a little arbitrary, but still does show a reasonably accurate starting point. Of course, some elements will be more highly sought after than others, but it’s a great start. You are of course able to get it for a cheaper price on secondary markets, but then you don’t get VIP points. Either way, it’s a set that gives you great value for money. I think this set will only go up in price after retirement, so get it now. I don’t know when it will retire, but it’s been around for a while, so it may be soon. 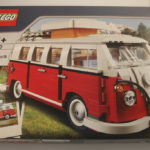 The only sticking point is the initial outlay – some people may not have the money to spend $130 on LEGO – sometimes I don’t! For this set, it’s worth it. 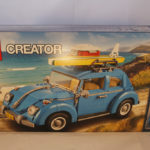 as well as 10187: Volkswagen Beetle from 2008. For the most part, not many collectors (unless they started a while ago) will have 10187, but five large scale vehicles is still a great display. I’ve got mine lined up on a shelf, along with some of my other favourite sets, and they look fantastic. 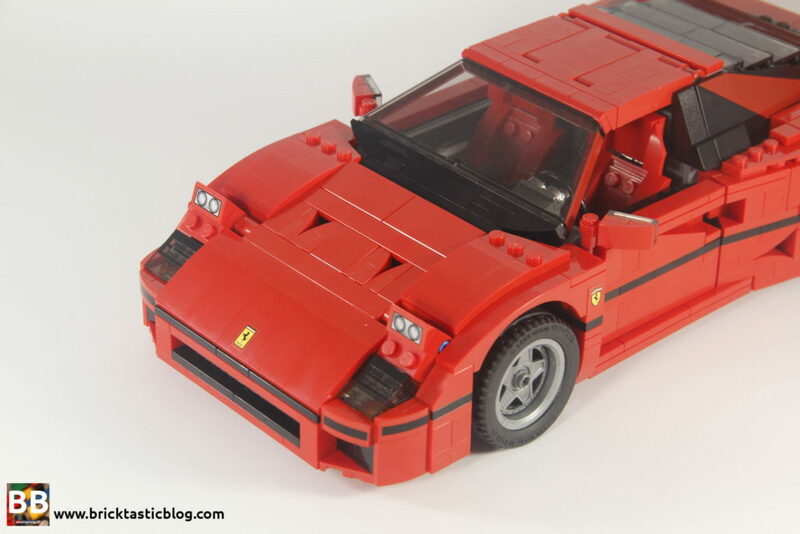 These vehicles are highly collectible, and I really hope that LEGO produces more of them. Next week, I’ll be reviewing 31044: Park Animals. It looks very cute! Do you have all the large scale vehicles? Which one is your favourite?